Just a note for those who find this later, “One thing I learned is that the Aggregation Framework doesn’t take advantage of Indexes.” is not correct. Aggregation Framework can and does use indexes – in your case though it was using the same wrong index as a regular query. More discussion why is in my reply in mongodb-user google group. Hi Asya. Thanks for the correction. You are right. The Aggregation Framework does take advantage of indexes, but in my case it was using the wrong index and that’s why it was terrible slow. 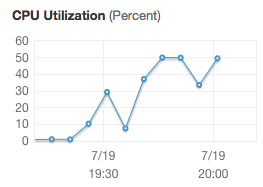 As slow as without indexes.